Cat Stax is a puzzling thing. You get 12 cat-like pieces, each of a different color and shape. You get two decks of 24, two-sided cards. One deck is for the puzzles, the other for the solutions. This makes it very easy to control your cheating impulses, or to lose control entirely – which, as you progress through the puzzles, you may in fact do. Each puzzle shows you a grid and which of the cats you’ll need to fill in the grid, perfectly (no hanging cat parts allowed). This is all fun and familiar to your average cat puzzle-solver, until you arrive at puzzle #7 – the first TWO LAYER cat puzzle, wherein the reason for the name of the game becomes tantalizingly evident. Two layers, as in some cats don’t lie down like the good little puzzle-piece-cats you think they should be. They stand up. And later, you discover that some cats don’t just stand on their feet, but on their back ends or front ends or heads, even. And, later on, by the time you get to puzzle #23, you get three layers of cats! And on and on until you find yourself trying to figure out how to make a three-layer cat stack using all 12 cats! The puzzle comes in a travel box with a transparent lid (easier to keep track of your cats that way). The manufacturers are quick to note that it you might very well arrive at a totally different, but entirely acceptable solution all on your own, because, as we have all been so oft told, there is more than one way to stack your cats. As you make use of the two decks (puzzle deck and solution deck) you’ll come to appreciate ingenuity and compassion embodied in this minor, but brilliant innovation. They call it Houdini, ThinkFun does, explaining that it’s the “World’s First 40-Challenge Escape Puzzle.” It consists of what one can only call a “most unusual” collection of Houdini-like accoutrements. There’s a big plastic piece that depicts what is clearly the worlds first legless person to have a huge hole in his middle, with arms and hands are tied together most securely with many locks and chains, to have two, snap-on, fabric legs. Then there’s an unopenable plastic lock, a large red “trap cage” upon which are embedded three ominous trapping rings, two ropes – each ending in openable rings, two rings (one a hollow plastic barrel, the other impervious metal), and a deck of 20, double-sided puzzle cards, rung together with a handy explanatory card that instructs you, in general terms, how one might tie Houdini up (to begin a puzzle) and recommendations for how to go about attempting to free the poor, shackled, gutless, plastic lad. And, of course, a mesh, drawstring travel bag (which turns out to be not only handy but essential insofar as you’ll need to almost destroy the box to get at all the components). It turns out that much of Houdini’s magic is based on what mathematicians like to call topological puzzles – puzzles of such lasting folk-worthiness that they’ve been handed down through the ages, as this recent stamp from Greenland, honoring such, so clearly demonstrates. The instruction card also indicates the precise URL of the page on the Internet from whence you can find clearly depicted videos of how to tie the dude up, and how to release him. The first puzzle, I’m glad to say, the one marked “Beginner 1,” is fairly easy to assemble. Even I was able to figure out how to tie Houdini to the trap cage using only a rope and the metal ring. And, subsequently, completely flummoxed by my attempts to figure out how to release Houdini from the illustrated entrapment. Completely. After some deliberation, I decided to evaluate, shall we say, the clarity of the solution videos. And, upon clicking my way over to the appropriate link, beheld an amazing feat of graphic clarity which I could almost follow, but which immediately led me to exclaim something like “What?” and then “Who Knew?” and then, upon third viewing, to achieve the necessary clarity to make the attempt. And, behold, after only two more viewings, it proved to be child’s play. What we have here is Major Fun of historic proportions. Truly challenging puzzles that tie your puzzle-solving centers into conceptual knots. Puzzles whose solutions are often so surprising that they make you laugh most entirely. 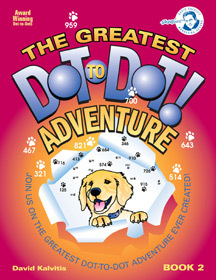 And the ingenious use of the computer to support both the making and unmaking of the puzzles makes the whole thing so much more fun – just knowing that real, carefully illustrated help is only a click or two away is almost all you need to keep you happily engaged. Designed by Nicholas Cravotta and Rebecca Bleau, Houdini is recommended for people who are mature enough to understand the joy of deep challenge. The two “rocket target” pieces reflect the laser into their tops, causing the whole piece to glow when hit by the laser – a very rewarding reinforcement for any junior puzzle-solver. Yes, the more complex puzzles, with all their reflections and refractions, result in a somewhat more subtle rocket glow – but still wonderfully satisfying. The challenge cards are ingeniously designed – the part that shows you where to put the pieces at the onset of the puzzle sliding under the grid so as to be perfectly aligned and very easy to follow. The challenge part is indicated on the tab, showing clearly which pieces need to be added in order to complete the solution. The cards are two-sided, each side showing another puzzle. The solutions are all in the accompanying booklet, and are shown graphically, so no reading is required. Two triple-AAA batteries, not included. Yes. Not. Invented by Luke Hooper – the same who invented the other Laser Maze puzzle, and The Laser Game: Khet, with the challenge cards designed by Wei-Hwa Huang. As you probably guessed, it’s all Major Fun (and not just for Juniors). Although most of the games that earn the Major Fun Award are ones that involve multiple players, there are times when you just want to play by yourself. Solitaire games help pass the time when there is nothing to do but wait, but that doesn’t mean they have to be brainless. Brain Cheeser by SmartGames is a puzzle for one person that can be easily carried in a small bag or a large pocket. It’s a slim board book, about 4 inches square, with a snap-clasp and a magnetic back cover. The magnets that stick to that cover are 8 slices of Swiss cheese and 6 round mice. The pages of the booklet present 48 puzzles (of increasing difficulty) all of which involve fitting the mice into the holes created by the slices of cheese. The cheese slices are cut so that some of the edges form half-circles. When placed next to other slices, some of the demi-circles line up to form complete circles that are large enough to fit the round mice pieces. The mixing and matching of the cheese slices forms the heart of the puzzle. Each challenge presents you with a few starting slices and/or the location of some of the mice. It’s then up to you to arrange the rest of the 8 cheese slices so that the mice fit in the holes. The challenges are arranged in four levels (starter, junior, expert, and master). The starter level is very easy and would be great for very young children to learn how to manipulate the pieces before moving on to the higher levels. Older kids and adults should probably skip on to the junior level as their starting place. The puzzles are engaging and the magnetic pieces do a great job of holding everything together. The game is designed for travel and in this regard the magnetic surface makes a lot of sense. It’s cute and challenging and easy to bring along in the car or the doctor’s waiting room. Major Fun for those times when your best company is you. Brain Cheeser was designed by SmartGames (Belgium) and is © 2013. The game was provided to us by KEH Communications.